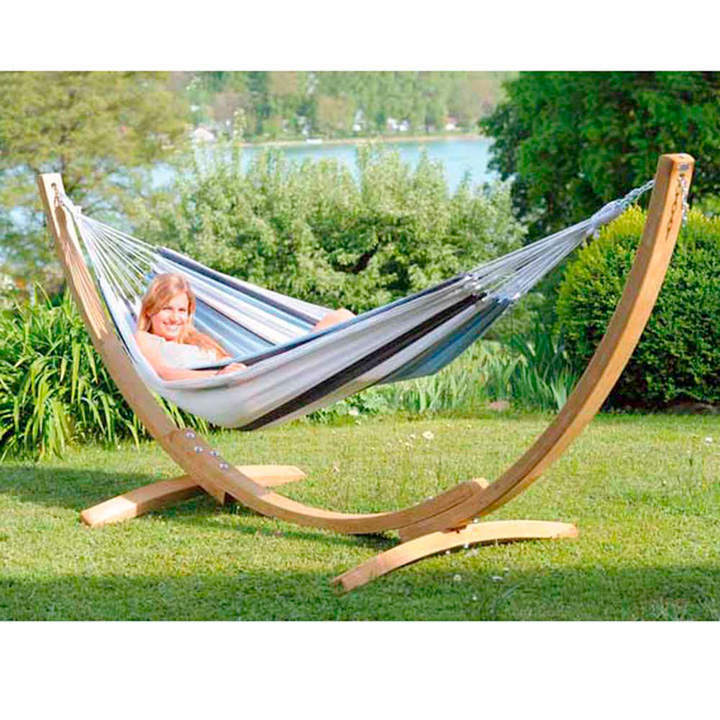 Manufactured from sustainable European Spruce timber treated for outdoor use, this stunning handcrafted hammock and stand is a perfect combination for style and comfort. 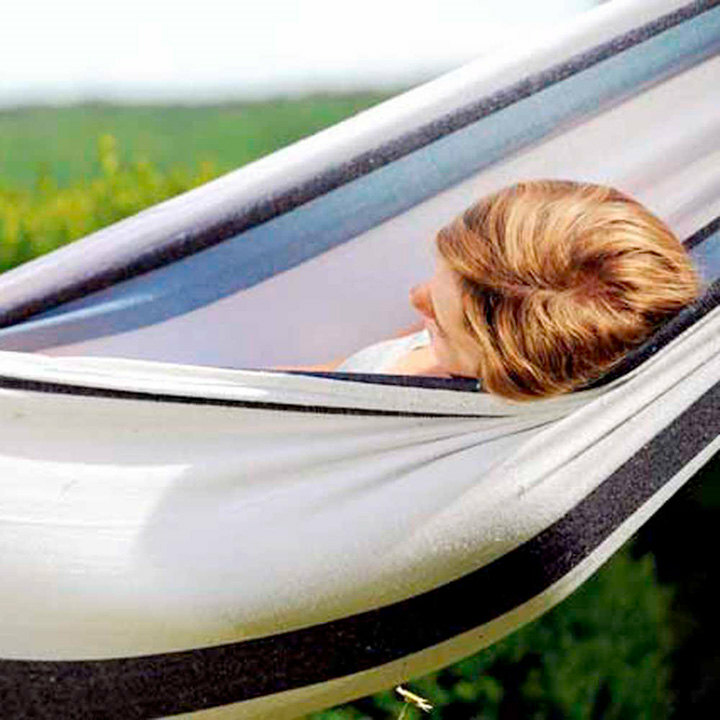 Ideal for relaxing in the garden on a patio or deck, the stripe design hammock is made from Elltex, a durable mix of polyester and cotton that is weatherproof, virtually fade proof and stays extremely tear proof even after repeatedly getting wet. 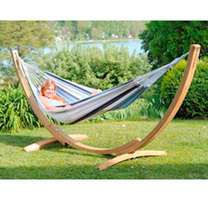 Frame height 131cm (4'3½"), length 357cm (11'8"), width 104cm (3'4"). 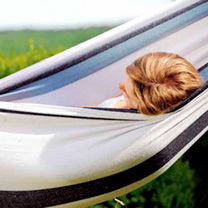 Hammock length including ropes 310cm (10'2"). Weight supported up to 150kg. Self assembly required, full instructions included. One year warranty. Delivery: mainland UK delivery address only.